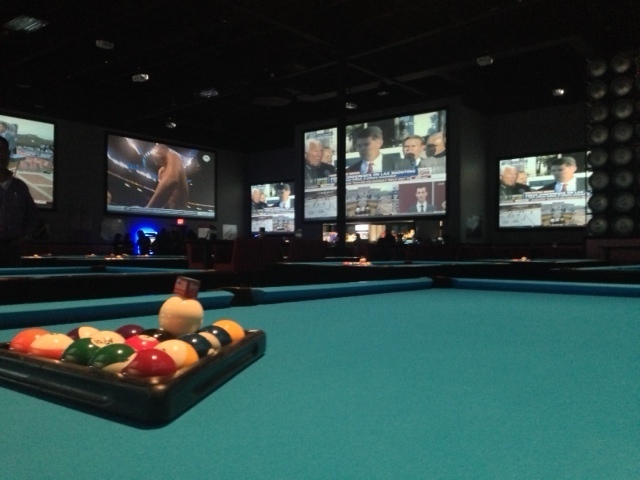 Vast Technologies has a devoted team of experts ready to assist you in designing your next touch screen audio/video control package for small or large sports bar, hotel, nightclub and restaurant. Our automated solutions are centered around a touch screen command center that bartenders and managers can interact with to select which TV broadcasts any of the available sources such as HD satellites, karaoke, DirecTV and even gaming systems. We've partnered with select manufacturers to deliver a completely out-of-the-box working solution so you can focus on your core business. Optionally, you can control your entire sports bar from an iPad. In-wall docks are also available for your iPad. So if you're tired of using flaky remote controls and trying to manage changing channels on multiple stacked DirecTV receivers -- Cinemar has the solution for you. Our control system actually enables your staff to become more efficient and the end result is generating more money for your business. Keep your staff behind the bar rather than walking around to televisions and DirecTV receivers and fumbling remote controls. If your existing setup takes more than 5 seconds to select a TV and change the channel on it, then our system is for you. General managers and staff can also access the user interface directly from their smart phone or iPad!